What is an inner voice? It’s a guide giving you confirmation and that strong sense of intuition that you are going to be okay. It’s that inner knowing when something feels right or not, very similar to intuition. I just started discovering my voice. I have always been able to speak well…my moon is in Gemini in the 10th house. If you know anything about astrology, Gemini rules communication and the 10th house is all about expressing one’s talents with the world. Even though it’s part of my astrological makeup, I still had to go deep inside to find my true inner voice. I had to find that “I Can Do It” and “I Believe In Me” feeling, and I now trust that the process of life will bring me exactly what I need. For so many years I suppressed my loneliness and sad feelings. I didn’t want to feel them because it was too painful. What I didn’t realize was how suppressing them actually did more damage. Something was off and making me unhappy. I couldn’t figure out what it was, so I began working on myself and going to therapy. From this, I have learned (and learn more every day) about the benefits of meditation, embracing these feelings. The key to all of this is that you must “Feel The Feelings!” Understanding where the anger and sadness comes from and allowing yourself to feel is when the magic begins to occur. Once you feel YOU, you can begin to let it ALL go. This is incredible because you open up your channels of communication and your voice blossoms in ways you can’t imagine. It’s then that you realize your own truth, sharing and saying what you need in life, relationships and love through actions and words (and possibly even song). Adele, a world-renowned singer, just won 6 Grammy’s, and her voice is loved by all. This morning on ABC, Julia Roberts said that if she could have one thing right now it would be to have Adele’s voice. If she couldn’t have that, she said she would want to keep hearing more of her music and her magical tone. Yes, Adele has a beautiful voice. But why are we all so captivated? What Adele expresses through her voice is so genuine and powerful, she sings from the depths of her soul! She feels the feelings, sharing her story with warmth, truth, pain and love, sending messages of familiarity to the world. “The Voice” on NBC is also a huge hit right now. The talent level of these contestants is amazing. Like Adele, they are sharing their voices, expressing their feelings through song. But you don’t have to sing to express yourself. Whether you are a singer, a public speaker, an author or even a shy, soft-spoken person, I ask you this: Do YOU have a voice? What does your voice want to say (or sing) right now? 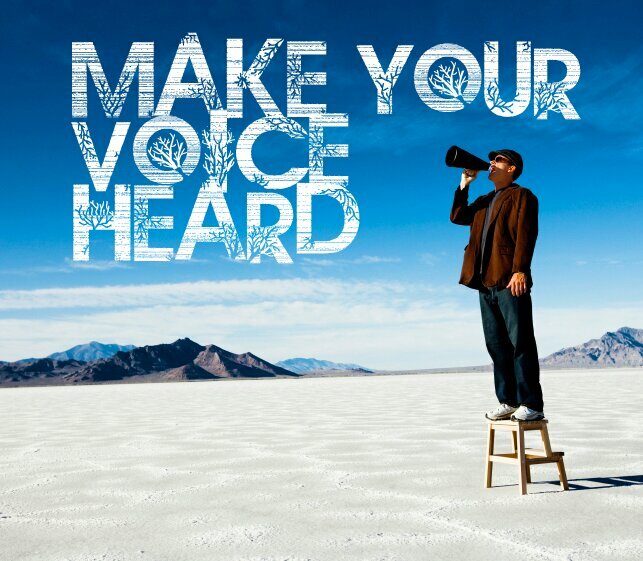 Share your powerful message with us?